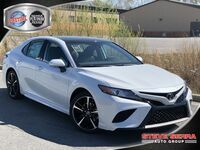 The 2018 Toyota Camry is the midsize sedan that makes a big impact. It has long been a staple of the automotive market, and a key player in the Toyota vehicle lineup. It is built with a bold and sporty design, making it a unique face in a sea of sedans that all seem to look alike. If you’re looking for a car that is unique and can reflect your personality, the Camry is the car for you. Its various trim levels and exterior color options ensure that this model can be built to be a reflection of your own personal style. 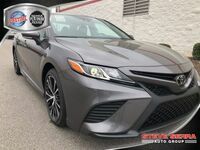 Plus, with the optional upgrades and packages associated with each trim, you can make sure that your Camry is equipped with all the tech, safety features, and performance specifications that you want. The Camry is built with a bold design and sporty features. This fun-to-drive compact midsize sedan is a surefire way to turn heads on your next drive through the neighborhood. The Camry is well known to be a smart pick, and we know that the Camry even exceeds expectations. Quick, agile, and highly responsive, the Camry has impressive performance features. 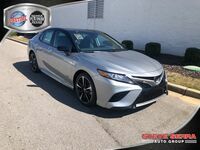 Plus, the Camry In addition, comes with all the latest in safety technology, so you can keep motoring on without worrying about feeling secure. Driver-centered and driving-focused, the Camry is built with acceleration power and responsiveness in its DNA. Leasing a new Toyota is a great option for those in the market for a new vehicle. When you lease, you have access to a ton of benefits. Buying a new car is not the only way to get into a new vehicle. With a lease, you can drive a new model off the lot, but don’t have to commit to purchasing the vehicle. Lease terms are generally short, allowing you to update your model year quite frequently and keep up with the trends in the automotive market. Plus, leasing is an affordable way to get into a new car but with less commitment. We’re always updating our lease offers, so be sure to check back often. If you want more information on Toyota lease offers from Serra Toyota of Decatur, contact us! We’re happy to help. 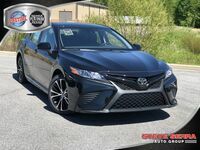 Interested in a New Toyota Camry? The 2018 Toyota Camry comes in seven different gasoline trim levels. 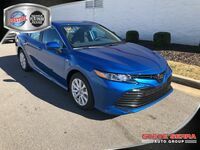 In the 2018 Toyota Camry, you can choose between a 2.5L 4-cylinder engine and a 3.5L V6 engine. The Star Safety System™ and the Toyota Safety Sense™ P (TSSP) system comes standard on all 2018 Toyota Camry models. 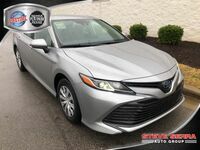 The 2018 Toyota Camry is built to be comfortable and convenient for drivers with spacious seating and soft touch materials. Standard features on this vehicle include Entune™ Audio, backup camera, and more! 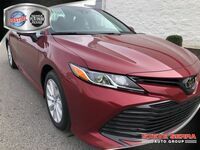 The 2018 Toyota Camry can achieve 29 city/41 highway mpg*.